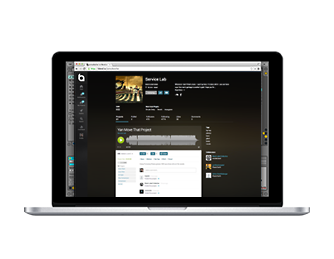 Blend is the collaboration network for music creators. 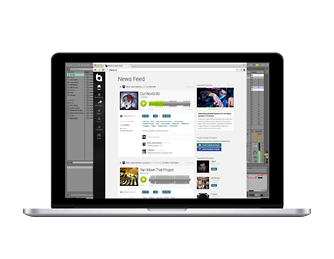 Blend makes the process of producing music interactive. The social platform helps music producers share music projects in source format, perfect for remixing, collaborating, learning from, and gathering feedback from others in the global community. Music fans can discover original new music and participate in the creative process. Need help? Have questions, comments or ideas? Let us know what's on your mind by emailing support@blend.io. "If you've ever had the urge to collaborate with a fellow musician but have run into the messy tangle of software compatibility, sharing services, and slow communication...Blend.io, currently in beta, is a website that enables real time collaboration and remixing across the web..."
"Dubspot contributor Rachel Dixon talks to Blend.io founder Alex Kolundzija about this unique new service, and how it helps producers connect and collaborate online." 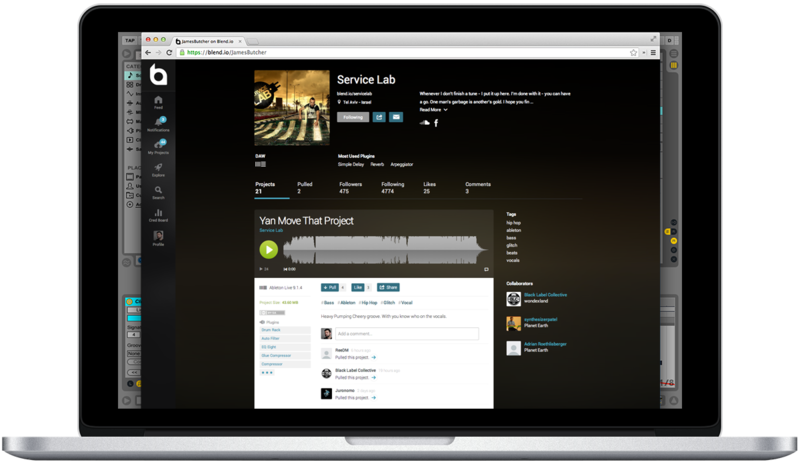 "The New Blend label will work with artists on its cloud-based music collaboration platform to monetize their work." "[Blend] makes things easier and less restricted both in the tech and your freedom to do what you want with the remix." "The parallel between developers and music producers has clearly been in mind during the development on Blend." "Anyone can download the song — not just as a music file to listen to, but as raw source code in formats that work with professional music software programs like Ableton Live, ProTools and GarageBand. This makes it far easier for anyone to remix or reuse the song, since they can change the music at its most molecular level." "[Moby] now hosts raw music files on Blend.io for fans to play with. Oh, and he's cool with them making a profit at it, too. Record executives are super excited about that, as you can imagine." "Many of the consumers on Blend are also creators who post their own work on the site, but the crowdsourced label concept is also aiming to engage its non-artist consumers, by providing a more interactive music distribution experience and eliminating any extraneous gatekeepers." "While Blend offers up many engaging ways for users to interact within the community, the real magic happens in a Blender’s ability to pull down all of the components of another user’s Live or Maschine project, open it up on their own computer, and go to work on it themselves – starting with all the effects, automation, signal chains, and sounds the last producer left off with." 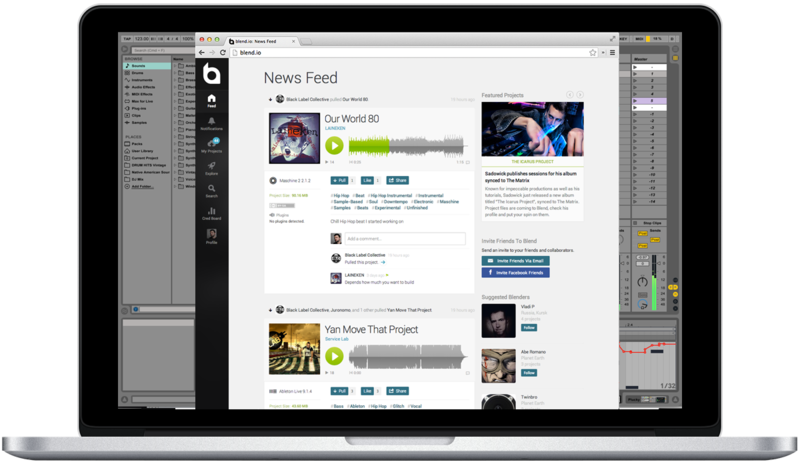 "With Blend.io, musicians and producers can share tracks and help each other as they compose them." Take a moment to browse our page and download the assets you need. Select each image to download or just click the button on the right to get them all in a ZIP file. For more information, contact support@blend.io.